Is it the man who makes the suit or the suit that makes the man? Check out these 17 well dressed men in suits who grace our TVs and make us swoon. It all came to an end tonight in the series finale of White Collar. Did Neal get the deal he was promised? Were the Pink Panthers put away for good? Find out when you read our review of the White Collar Series Finale! It's going to be tough saying goodbye to White Collar but the stars offered their take on the end. On White Collar Season 6 Episode 5, The Pink Panthers want a huge favor from Neal, despite the fact that Woodford is in the middle of a manhunt. Read on for our full review! 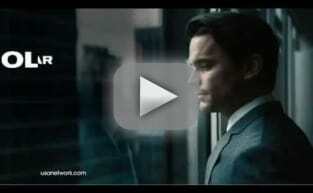 What went down on White Collar Season 6 Episode 4? You can watch White Collar online now and find out for yourself. We make it easy to do so. All is Fair in love and the ultimate con. But in an unexpected turn of events, the subject of this particular truth is Mozzie on White Collar Season 6 Episode 4. If nothing else, White Collar Season 6 Episode 3 signaled a significant change in the character development of Neal Caffrey. Read our review to find out what made this the case! White Collar is winding down, but we hit the set for some memories with Mozzie himself. See what some of Willie Garson's highlights from the series are. The long con continued in White Collar Season 6 Episode 2 - and it just keeps getting better. What epic con are the Pink Panthers trying? Find out now. We were on the White Collar set this summer during filming of the show's final episodes. See what TV Fanatic found out! White Collar focuses on the partnership between a con artist and an FBI agent. It airs on USA and is akin to Catch Me If You Can on the small screen. After catching criminal Neal Caffrey escaping from prison, agent Peter Burke offers him a deal: provide his expertise to assist the FBI in catching other elusive criminals. In exchange, he'll receive his freedom... eventually. The light-hearted show takes this premise and runs with it. Mozzie: Kate loves her classics. Neal: X marks the spot. Permalink: Kate loves her classics. X marks the spot. Mozzie: How often do you say thank you? Permalink: How often do you say thank you? Sarcastically?